So, what is an open house anyway? 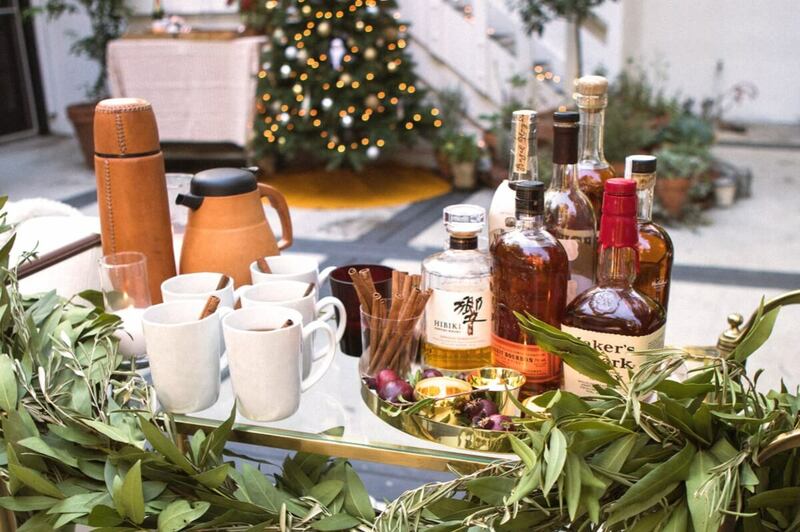 There’s no wrong way to host a holiday open house. Invite the whole neighborhood: school friends, work friends, and your kid’s soccer team. The drinks can be premade, the food can go out in nibble-friendly increments, and the kids can roam free. To help keep things not just pretty simple, but pretty and simple, we sat down with Los Angeles-based Annie Campbell, who has quite literally made party-making her business. Her eponymous full-service boutique catering company has been featured in Martha Stewart Living, Domino, and she has planned more celebrity parties than we’re at liberty to mention. 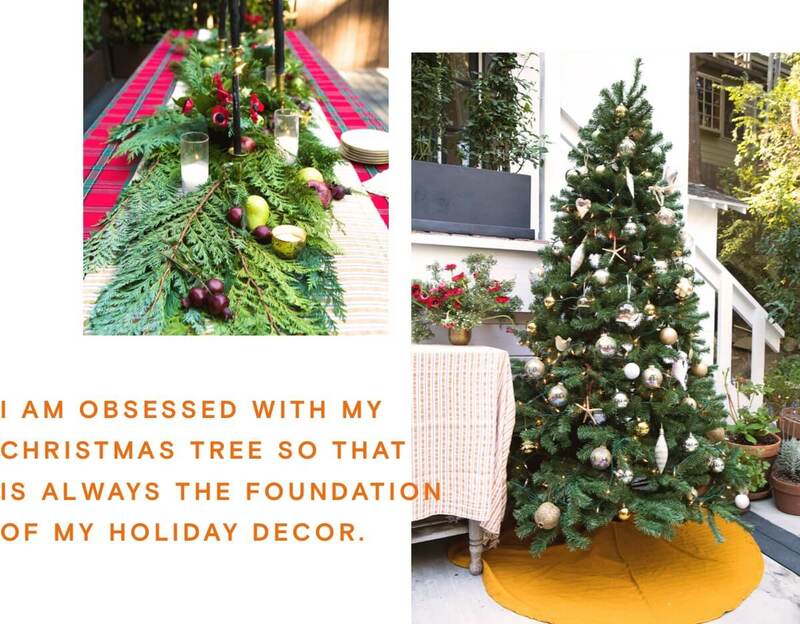 She shared her tips on creating a party that feels traditional with a twist, even if it’s 60 degrees in December. Growing up, each holiday was anchored with meal traditions: oyster stew for Christmas Eve, gumdrop cake while opening stockings and cracked crab for Christmas dinner. We celebrate the holidays with my family, so our kids are growing up with the same meal traditions. Decorating the Christmas tree is my favorite ritual—accompanied by a festive cocktail. Paperless Post is my best tip! It makes invitations so pretty, easy and manageable. For the holidays, sending an invitation on the earlier side is best as people do get busy. When selecting a date and time, I like to think about when I will have time to best prepare: e.g. not planning a party the day after a stressful work week. I also consider if children are coming, whether or not I want daylight, if I want to serve snacks or a full meal, etc. There are no rules for holiday open house hours. 11-1, 3-5, 7-9, all sound good to me! With a lot of kids of different ages, it is nice to have an optional activity like holiday card making. That said, you can’t force a craft down anyone’s throat, and the kids will likely run around creating their own fun. More elaborate activities like cookie decorating and gingerbread houses work better when that is the main event, as opposed to a larger open house. 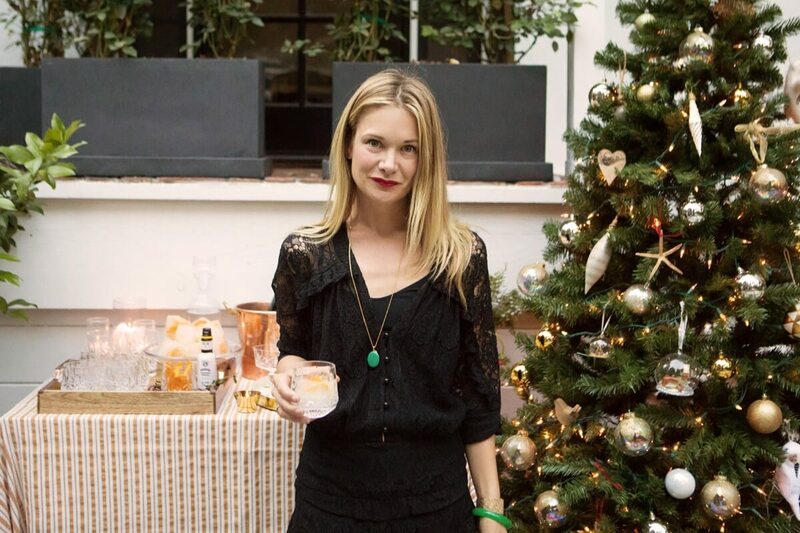 Inviting Santa to your holiday party is a magical touch that I highly recommend! Be prepared to feed the kids before the adults. That way parents can help their kids make plates and then be able to enjoy their own food. This also helps kids eat some savory food before having too much sugar. I love using my Hudson Grace cheese boards, glass bud vases, Heather Taylor Home linens, Hosley votive candles, CB2 Marta glassware, and a well-stocked bar cart. Room temperature food is ideal. 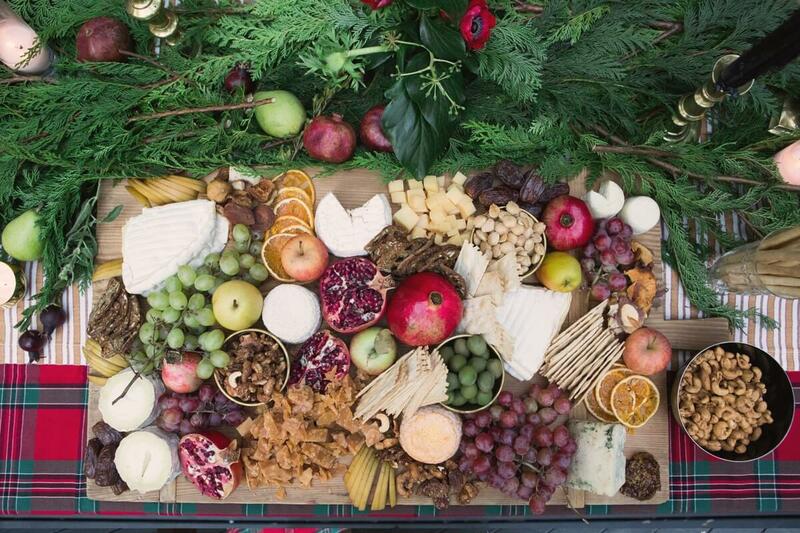 Cheese boards, crudités platters, and charcuterie are your best friends. I used to make a million different hors d’oeuvres that involved being in and out of the oven, but it’s impossible to enjoy your guests that way. A cocktail, a dessert, ice, or an appetizer–these are all high impact things I love to garnish. 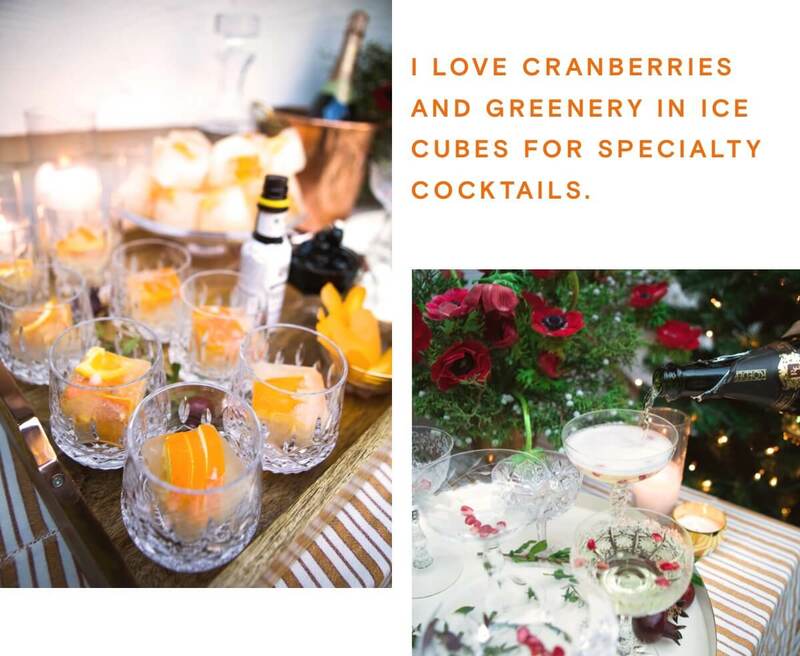 I’m especially into festive ice cubes and love cranberries and greenery in cubes for specialty cocktails. Pomegranate seeds, pears, rosemary, and all things citrus feel cozy and holiday. If a bartender is in your budget, it is a special touch. That being said, at my house we always do a self-service bar. I find it very helpful to batch cocktails in advance so that guests just pour over ice; that way, the drinks taste as you intended it and guests aren’t intimidated by playing bartender. This year, I love a cranberry mule, blood orange margarita or a mezcal old fashioned. I am obsessed with my Christmas tree so that is always the foundation of my holiday decor. My mom always sends me a big box of pine and fir greenery that she clips from her backyard in Central Oregon, which I scatter throughout my house. California citrus has so much variety in the winter and I love decorating with kumquats and clementines, especially when they have their pretty stems. Pine cones are another favorite. A laid-back holiday open house deserves a laid-back invitation. 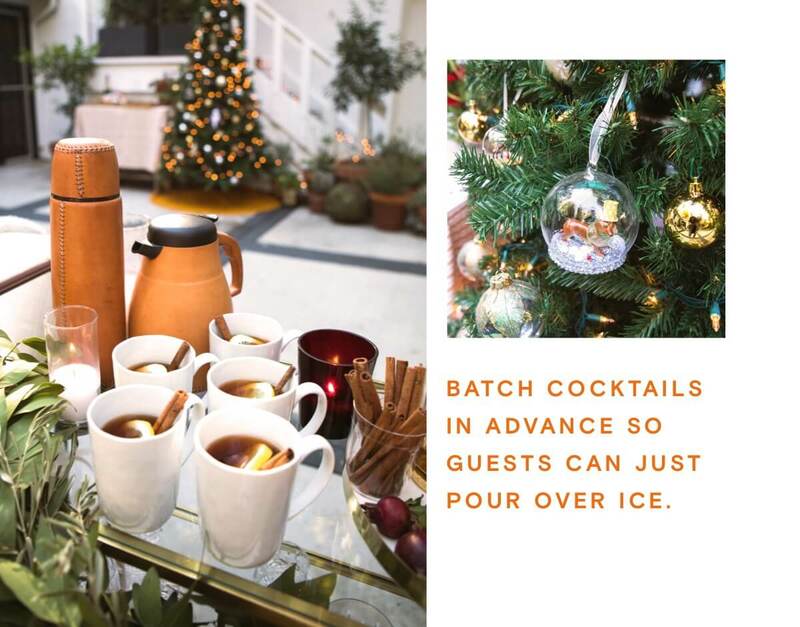 Free to create and easy to customize, choose the Paperless Post Flyer to fit your open house holiday party style, then send it to your guest list just as easily.